On July 19, 1967, promoter Ed Francis presented a wrestling card with a main event featuring a Hawaiian Championship Match between Jim Hady and Pat Patterson. 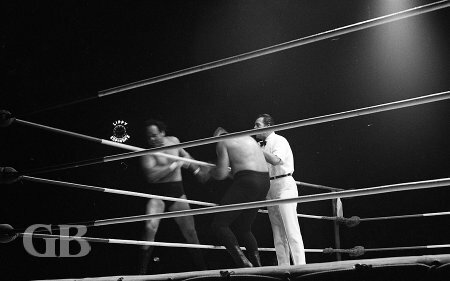 The opening match was a tag team match featuring the team of Nick Kozak and Chief Billy White Wolf versus the team of Ripper Collins and Hans Mortier. Collins took the first fall with an Atomic Drop on Nick Kozak. Kozak evened the match by taking the second fall with a stomp and press on Collins. White Wolf took the third and deciding fall with an Oklahoma Crusher and body press. 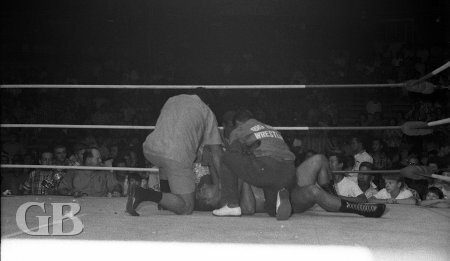 Mayhem in the ring as all four wrestlers battle in the ring at the same time. Partners Collins and Mortier gets slammed into each other. 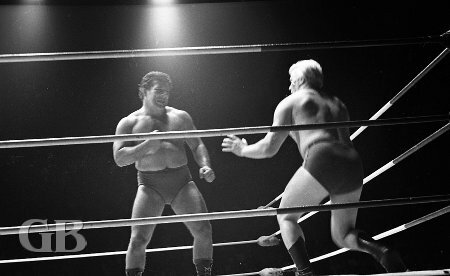 The second match saw Curtis Iaukea go against Eric Frolich in a TV curfew match. Iaukea took the first fall with an elbow smash and press. This was the only fall in the match as time ran out. Curtis Iaukea flips Eric Frolich. 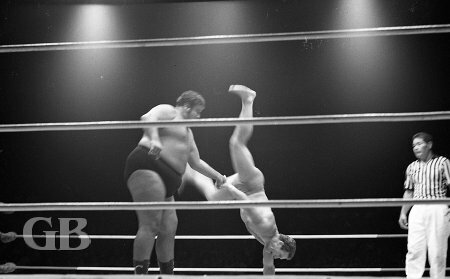 Iaukea prepares to body slam Frolich. Johnny Barend went up against Dutch Schultz in a 30 minute, 1 fall third match. This match ended in a no-contest when both wrestlers fought each other outside the ring and were counted out. 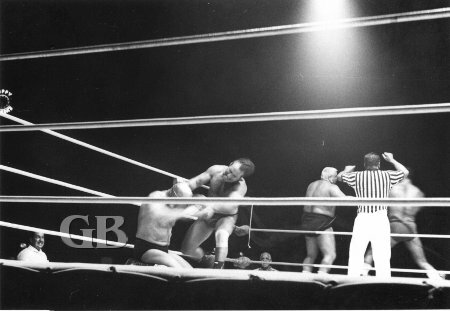 Dutch Schultz applies a punishing arm bar on Barend. 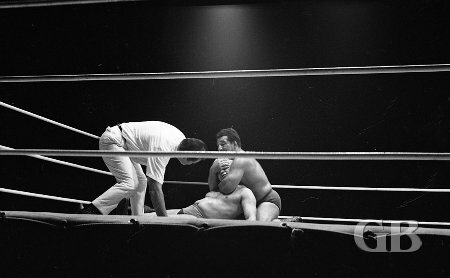 Barend battles Schultz from the ring apron. Johnny Barend and Dutch Schultz are counted out of the ring. 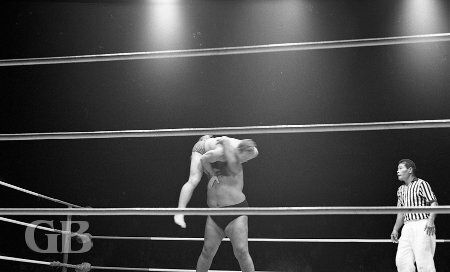 The main event of the evening was for the Hawaiian Championship featuring champion Jim Hady versus challenger Pat Patterson. This was a 2 out of 3 fall match to a 1 hour, 1 minute time limit. 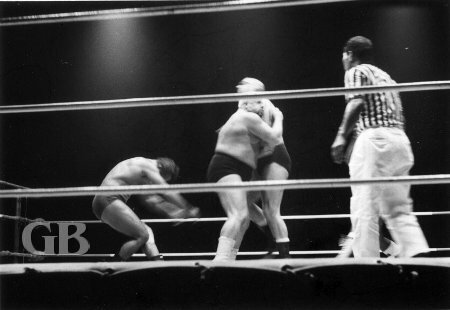 Pat Patterson took the first fall with a Bombs Away knee drop off the top ropes. Jim Hady evened the match with an Alligator Clutch. 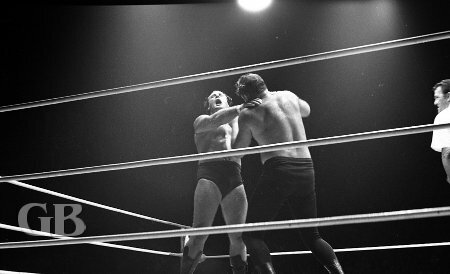 Jim Hady traps Pat Patterson in the corner. Patterson drop kicks Hady from behind. Hady applies his famous Sleeper Hold on Patterson. Pat Patterson flat on his back on the concrete floor. Trainers tend to Hady after Patterson's disqualification.